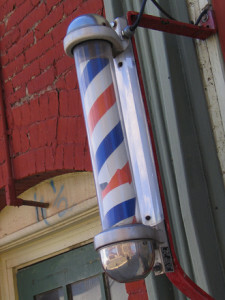 According to recent news from CBS Boston, three people were injured when a car crashed into a barber shop in Mattapan. Witnesses say the accident occurred around 7:30 p.m. and this was not an accident in the typical sense. It is being reported that a man was being chased by the driver of an SUV who was allegedly trying to kill him. A witness has said the man being chased by the SUV ran into a local barber shop to avoid being run over by the car. Unfortunately for this man, the driver of the SUV crashed his vehicle into the barbershop on purpose and hit the man he was allegedly chasing. The intended victim was hit by the SUV and became trapped beneath it. The man being chased, the driver of the SUV, and at least one other person were seriously injured in what is being described by witnesses as an assault with a motor vehicle. Many people rushed to the scene of the accident and there was a group of about eight people trying to pull the SUV off the trapped victim. The owner of the barber shop called the 911 and police and emergency workers responded to the scene of this incident and provided immediate medical attention and transported all three injured persons to local Boston area hospitals. The police are not sure why the man was allegedly chasing the victim, and have not filed any charges against the driver of the SUV as of this time, though it is expected that a number of felony charges will soon be filed against the driver of the SUV. If this occurs, it is likely he will be arraigned in his hospital room as often happens in the Commonwealth of Massachusetts. It should be noted that nobody has been convicted of any crime in connection with this motor vehicle incident and all are presumed innocent unless and until being found guilty beyond a reasonable doubt by a judge or jury. While this incident does not appear to be an accident by any meaning of the term, as our Boston car crash injury attorneys have seen time and time again, the term car accident is often misleading. The reason for this is because most accidents are not accidents, as they are someone’s fault. In every context other than a car accident, when we use the term accident, we normally are referring to something that is not someone’s fault. The truth is that most car crashes are the result of some driver’s negligence and could have been avoided if proper care was taken by the alleged at-fault driver. For example, if a driver is in his vehicle and looks down at his phone to check his text messages and crashes into another car, this is not an accident. This is an example of distracted driving, and distracted driving is an example of negligent driving. Distracted driving is just one example of negligent driving. There is also drunk driving, or any other type of careless driving, that can be the basis for a Boston car accident lawsuit.